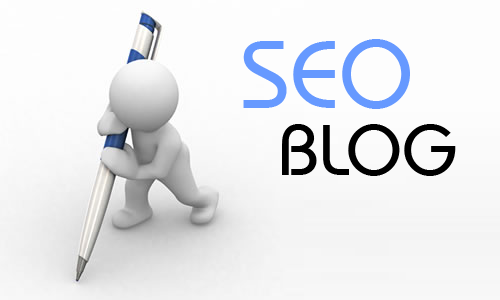 Optimizing your blog for search engines is similar to optimizing your website. With a little planning and effort, your blog will give your SEO efforts a big boost! It will take some time to establish yourself as a reliable information source in the blogosphere, and the more relevant blogs you post with valuable content, the sooner this will happen. We try to encourage clients to blog twice each week. You want each blog post (or web page) to focus on one subject or topic. Your topic should be fairly focused because you want to keep your readers engaged and make sure you leave yourself topics to cover in future blogs, too! This will also help you determine which keywords each blog post should try to incorporate. Much like writing a research paper in school, you should develop an ‘Introduction’, ‘Body’, and a ‘Conclusion’ or ‘Call to Action’ to get the reader to engage in your site further, and become a Lead. Read our blog on developing subjects to blog about if you’re stumped on what to write about. If you want to optimize your blog, you’re most likely also optimizing your website as well, and you are using your blog as a way to increase traffic to your website and get new leads. When developing your website/ blog optimization strategy, you need to determine your list of ‘keywords’ (or phrases) that you will focus your optimization campaign around. Your keywords will be terms you think potential clients you’d like to reach would type into a search engine while looking for your services. For example, if you are a broker focusing on student apartments in the Fenway neighborhood, you might choose a keyword like ‘Fenway apartments’ or ‘Fenway student apartments’. There are a variety of free online tools you can use to learn about the popularity of the terms you are considering using and also to get suggestions for new terms. You can also view the presentation from our Logic Classroom about Long Tail Keywords and Keyword Strategyto learn more. I've Got My Keyword List, Now What?" It’s important to try to keep these terms in mind when writing your blogs, and develop blog topics that incorporate these words to help improve your site’s organic search engine ranking for them. As a result, more visitors interested in what you’re selling (Fenway student apartments) will find your blog, and therefore your services, more easily. You want to use your keywords in as many places as possible, such as in the URL of the page, in the Title of the Page, in the Header, etc. without being ‘spammy.’ If you want to learn more about keyword placement on your website, please read this blog about optimizing your website with keywords. Meta Titles: It’s always good to add your company name to the end of your Meta Titles, such as ‘Extremely Relevant Meta Title Here | My Company Name’ to help increase your brand awareness. You always want the Meta Title to be in ‘Title Case’ (instead of all lower case) so it looks good to a reader because they do see your Meta Titles in search engine results and at the top of the page in the browser tab. Search Engines typically only index the first 65-70 characters or so (including spaces) of your title, so make sure the important keywords are towards the beginning. Links: When you add a Hyperlink leading to another page from your blog, especially in the beginning or middle of your blog post, I prefer to have the link open a new window or tab in the visitor’s browser instead of replacing the page they are on (your extremely interesting and informative blog). This is easy to do with a Boston Logic Sequoia real estate website. When you create your hyperlink, be sure to click onto the ‘Target’ tab when you are entering the Link information in the Link popup window. This tab will allow you to choose if you want the link to appear in a new window, and also provides the opportunity to name the link- which is great for SEO. I’ve attached screen shots to help walk you through it. Making the links boldis a good idea, too, because search engines know to considered words in bold to be highly relevant to the content of the page. Just don’t go making everything bold or it will lose its effectiveness (and annoy readers). It is better for your SEO (and human visitors) if the links are using relevant keywords, not just ‘click here’, and if the link leads to a page that has those words or something similar in the URL and page title. For example, if you were writing a blog about the amenities of the Fenway neighborhood you could mention ‘ living in an apartment in Fenway’ and make ‘apartment in Fenway’ an internal link to your ‘Fenway Apartments’ Town Page. Categories: Blog categories are not as important to SEO as some of the other elements mentioned, but they are VERY important to your visitor’s experience. If you have relevant blog categories that are well-organized (you can have ‘parent’ and ‘sub’ categories) and make it easy for readers to find what they are looking for, they will be more likely to read several of your blog posts and return for more information in the future. You want to make sure you make a category for each of your keywords, and that you are putting blog posts into every category they are related to. Visitors will see and use these categories when searching your blog, so don’t just add your posts to categories for the sake of trying to increase ranking on certain keywords because it will actually hurt your SEO if visitors are regularly bouncing from your blog when they find that it’s unrelated to the keywords they typed into their search engine. Meta Tags, again, are not as important to SEO as the content, Titles, Descriptions, and Links, but they are still worth putting effort into. You want to make sure you’re not wasting your meta tag space with extremely broad, single word keywords such as ‘luxury’ or ‘Boston’, however, because they will not help your SEO. Instead, try to be creative and use more targeted keywords, such as ‘Boston luxury apartment’. You want to make your tags as specific and relevant to the post/ page as possible. Also, be careful with where you place the commas in your list of meta keywords. For example, if you entered ‘Mandarin, Oriental’ into your keyword list, that’s actually telling the search engines that you are using the two words separately ‘mandarin’ and ‘oriental’. Instead, you should keep the name of a building as one key-phrase by not putting a comma between the words you want to be seen as together, like ‘Mandarin Oriental’. Calls to Action: One final suggestion is to leave the reader with some sort of internal link and a call to action to keep them engaged. Each blog should strive to do this in some way, even just ‘Contact a trusted advisor for more information’ with a link to the blogger’s email or a link to the Contact Page. This content originally appeared on the RealEstateSEO1.com blog. I wrote it while working at Boston Logic.